The range of Aer Lingus pre-order meals on transatlantic services have been given the Bia Touch by Chef and Restaurateur Clodagh McKenna. 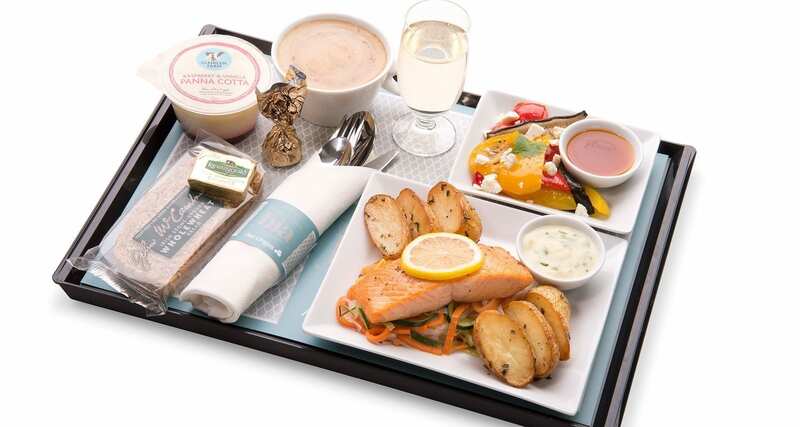 The new Bia branded meals will be made available only on transatlantic routes from 1 October and replace the previous range of Sky Dine meals which were selling for €17.50. The meals will retail for €18.50, freshly prepared daily and can be ordered online here. 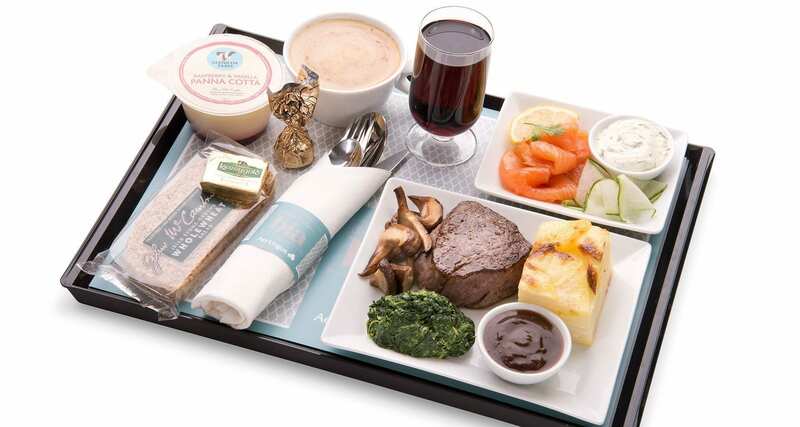 Note that passengers will still receive free meals in economy class, these pre-order meals are available for purchase if you want to upgrade your meal experience! Wine and Tea or Coffee are worth €7.50. Add a Dessert and Small Sweet €4.00. A Fruit Salad or similar €4.00 (we used the midway point of the cost of a Fruit Salad or Cheese Board). Already the total is €15.50, and we haven’t taken into account the cost of the main meal or the bread, so we feel it’s a great price and offers real value for money! Each meal choice sounds delicious and includes three courses as well as Wine plus Tea or Coffee. Smoked Salmon starter followed by a Fillet of Beef served with Gratin Dauphinois, Creamed Spinach, Mushrooms and a Red Wine Jus. Salad of Feta Cheese, Roasted Pepper, Aubergine and Sun-blushed Tomato served with a Harissa and Lemon Dressing followed by Darn of Salmon served with Julienne Carrot, Leek and Courgette, Clodagh’s Garlic and Rosemary Roast Potatoes and a Dill Sauce. Salad of Feta Cheese, Roasted Pepper, Aubergine and Sun-blushed Tomato served with a Harissa and Lemon Dressing. The main course of Lemon Roasted Chicken is served with Green Beans, Clodagh’s Garlic and Rosemary Roast Potatoes and a Roasted Tomato, Basil and Olive Sauce.